Those who have lost a loved one are often surprised to find that a lack of burial space means they are unable to bury their loved ones – or their ashes – in their preferred location. While many families choose to scatter ashes or create an alternative memorial, others take comfort in burying ashes with a relative in an existing plot. 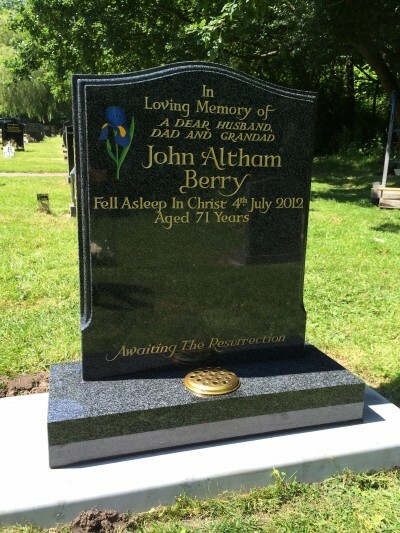 As long as the legal criteria – and the local authority – are satisfied, families choosing to bury ashes in an existing grave will often also want to update the headstone. In older graves it may even be the case that the family chooses to replace the headstone entirely if it has become weathered. 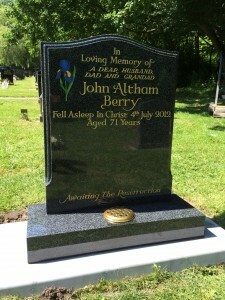 How do you replace a headstone? Families are usually required to show a Deed of Grant to gain permission to bury ashes at an existing grave, this is also required when removing a headstone or altering it. If space has been left on a headstone there is a chance that additional names can be added to it without removal. However, in the case of adding ashes to an older grave it is very often the case that the headstone will need to be removed or renovated. Many families will choose a new headstone as a joint memorial to those they have lost allowing them the choice of wording. It is also possible to mark the lives of others who may not have been buried at the plot. Restoration is another option for families wishing to use an existing grave to bury ashes. If the gravestone is showing the marks of time it is possible to carefully restore it to stand proud as a memorial once more. What can and cannot be added to graves is often at the discretion of the church (or local authority) and it is always advised to seek approval. Comfort can often be found in reuniting loved ones with family member in a memorial. With Davis Memorials you can choose from over a hundred designs or pick something more bespoke to your needs. For information on creating a new headstone or restoring an existing memorial please use the form here to contact Davis Memorials or call the team on 01384 566 958.